BZ124: 134.509 Acres with over 1,300 feet of Mussel Creek frontage! Great Tourism or Cattle Ranch Potential! 134.509 Acres with over 1,300 feet of Mussel Creek frontage! Great Tourism or Cattle Ranch Potential! A great property situated in the outskirts of Bermudan Landing in the north part of Belize District. 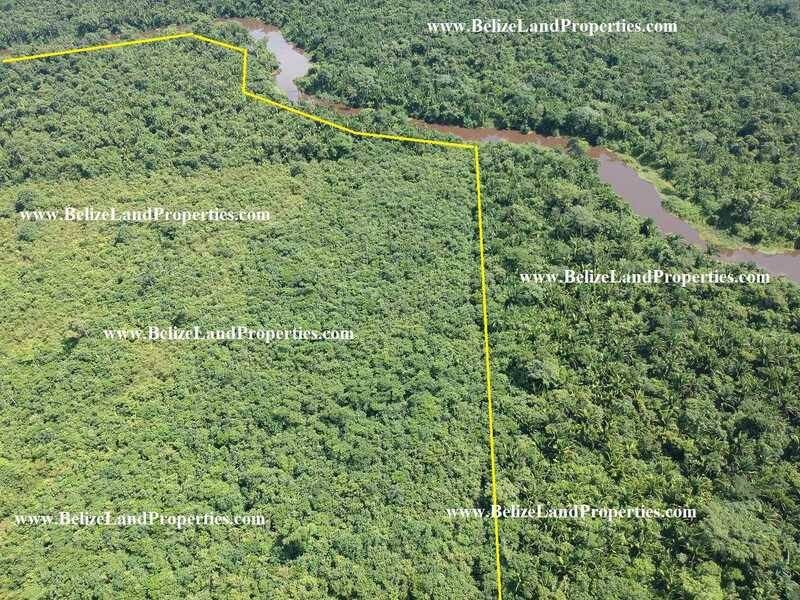 The property boast of over 1,300 feet of water frontage along the banks of the Mussel Creek which has some type of connection by way of small channels to the Belize River. This 134.509 acres is nestled 1.75 miles off the main road to Bermudan Landing, along a dirt road that would be used year around but certain areas may need to be upgraded to have access with no issues. The main road leading from Philip Goldson Highway to Bermuda Landing is paved. The picturesque village and the home of the Baboon Sanctuary, Bermudan Landing is approximately 3.5 from the property. Burrell Boom Village is approximately 6.5 miles away and the Philip Goldson Highway is approximately 13 miles from the property. The international Airport is approximately 19 miles and Belize City some 27 miles away! One can also connect to Belmopan City through the Burrell Boom- George Price road. The reserve is becoming popular as more tourist come to the area to enjoy the jungle, the river and the Baboons. There is currently some development for a tourism development in the area not far from this property which will create more attraction and more possible development to the area. Mussell Creek is a nice slow flowing creek that gets very wide in some areas. The photos show direct frontage along the creek from the property boasting of over 1,300 feet of water frontage which would make this property ideal for all sorts of development. Electricity is approximately 1/3 of a mile from the property. Make an offer! << SC91: REDUCED! 2-story Home 500 feet from the Beach in Dangriga Town!